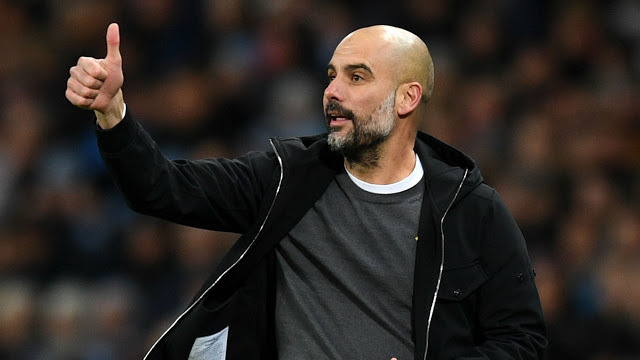 Pep Guardiola will not be taking any chances in the game against relegation battling West Brom when they host the club at Etihad tomorrow. The former Barcelona manager will be coming with full force to ensure he secure maximum points in the encounter. He also will want to round up and increase the point gap between his team and second place team, Manchester United. Ederson has been a very good but for City this season has he has been fantastic in front of goal for the Citizens. The Brazilian will be in goal as always for this match and will want to keep a clean sheet in this game. Aymeric Laporte is expected to make his premier league debut in this game as John Stones is out for the game with a little illness. Manchester City now options in that position and his buy came at a good time for the club. He will be partnering Nicolas Otamendi at centre back and both will man the defence line. Zinchenko has been favoured in recent games at left back and he is expected to continue in that position in this game while Walker keeps his place at right back. Fernandinho will be at defensive midfield role and will have David Silva and Kelvin De Bruyne in front of him doing the creative work. This midfield three has been the secret to Manchester City tittle chase and it will most likely be the midfield the for the PFA team of the year. interchangeably. The duo will support Sergio Aguero upfront. With this line up, City should have no problem getting the maximum three points. Man City: Ederson, Walker, Laporte, Otamendi, Zinchenko, Fernandinho, D.Silva, B.Silva, Sterling, De Bruyne, Aguero.